Henrietta here! 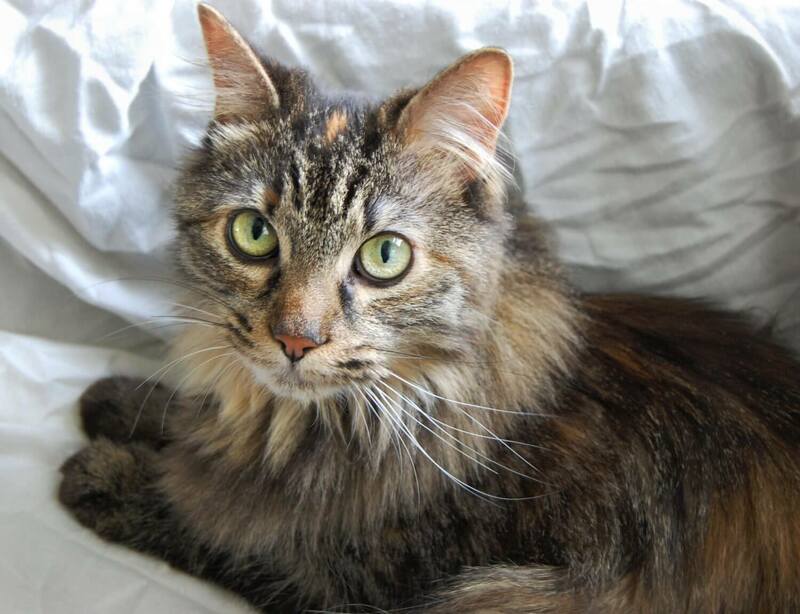 I’m an absolutely gorgeous girl that is about 7-years-old, and after being found as a stray by a nice person who took me in, I’m eager to find my next forever home! Though I had to live on the streets for awhile, it’s clear that I’m done with the outside life and would be perfectly happy inside the warm comfort of a house or apartment for the rest of my days. During the cold summer days, I spend a lot of time curled up under blankets if no one is around, but will happily come out and lay next to my foster mom when she calls me. Though I am a quiet kitty, I will never refuse cuddles and will even give gentle mews in the morning asking for love and attention. I love to be brushed, which is great since I have a lush coat and it helps me stay very soft in addition to controlling my shedding, which I don’t do much of. I’m very polite, mellow and low-maintenance, and so would be perfectly happy living with a single person or couple who had to work a lot — I’m perfectly content being left alone during the day as long as someone is home to give me lots of love in the evenings, though I wouldn’t mind having someone around all the time as well. I’ve lived comfortably around a dog and would likely adapt to living with respectful canines and calm children — I’m extremely gentle and would always run away before I would lash out, but a quieter home would probably be the best match for my delicate and docile nature. I really can’t wait to find my forever family and new best friend to cuddle with for the rest of my days — think it could be you? I’d love to meet you! 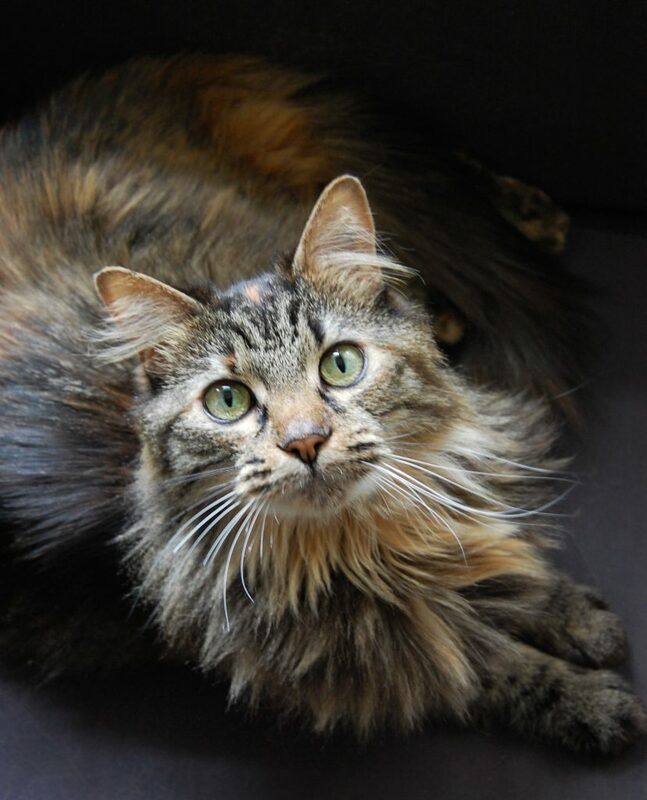 I am currently living in a foster home, so please fill out an application to meet me today! I come to you fixed, vaccinated, and micro-chipped for an adoption fee of $100.